Tireless struggle for freedom and the unbeatable human's the joy of the liberation through struggle- This is Leo Nikolayevich Tolstoy's famous short story 'Kokeshaser Bandi (1870)' the main theme. One of the best artist in World Literature- Leo Tolstoy born on August 28, 1828 in Yasnaya Polyana. He has created a diverse collection of literature, novels, short stories, drama, art, literature, religion and politics, academic articles of economics, autobiography etc. 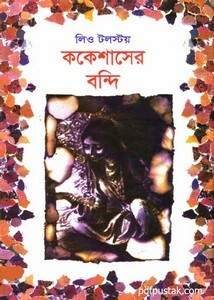 Sharable book is an anubad book of the author. The book has 32 pages.